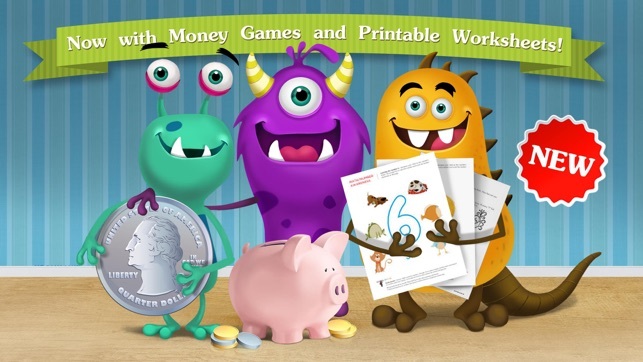 Now with free printable worksheets, Money Monsters and new fun videos! 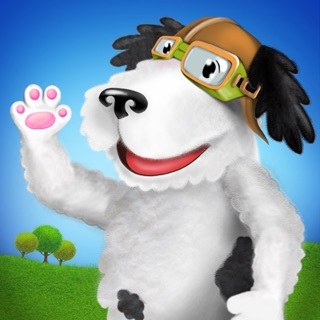 Over 20,000,000 kids around the world get fun playing Kids Academy apps! 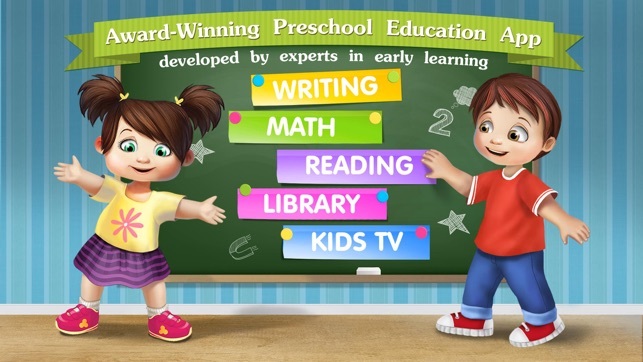 Based on tried-and-true approaches to preschool education, Kids Academy's Early Learning University is the best educational app for kids from 1 to 5. 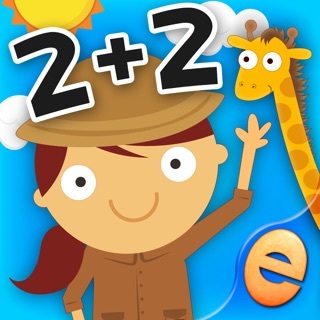 It develops reading, writing and math skills through fascinating games! Each stage of our carefully developed step-by-step curriculum is tailored towards a specific age group ensuring a natural learning curve. The learning process is based on proven methods approved by early childhood educators. Kids Academy features various types of content focusing on different memory types (visual, audio, muscle, etc.) ensuring deeper understanding of the learning material. Kids Academy learning plan covers all aspects of preschool education ensuring that our young students have comprehensive knowledge, deep understanding and a set of skills that will help them excel in their further education. 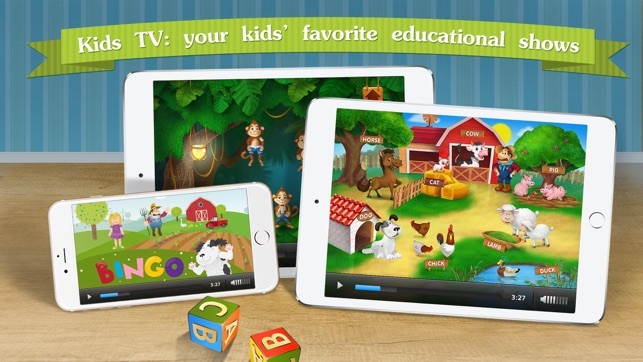 A vast collection of the best educational videos for kids of all ages and interests. We have videos covering almost everything, from nursery rhymes to the history of dinosaurs and the structure of the universe. 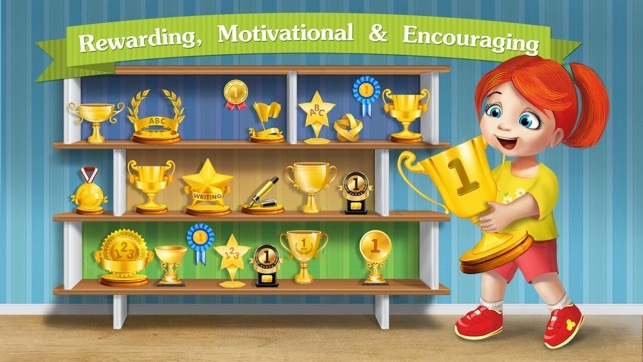 Kids Academy features a consistent motivational system that promotes and encourages learning. There’s no achievement too insignificant and no gain too small. Every step is encouraged and every little victory is proudly celebrated. You can have peace of mind knowing your kids are safe while playing. Proven parental control and child protection tools ensure 100% safety for your kids. * While the app is free to download some of the content is only available as part of a yearly subscription-based membership. * Membership costs $79.99/year and all payments are charged to your iTunes account. * There’s a free 7 day trial that starts right after you confirm your purchase. * Subscription is automatically renewed at the end of each billing period unless cancelled at least 24 hours before the end of the current billing period ends. * Subscription can me managed and turned off at any time via your iTunes account. * If you have any questions regarding your subscription, don’t hesitate to contact us. Enjoy watching your kids get ready for school and explore the world of education while having loads of fun on the way! Thanks for playing Kids Academy apps! We're constantly working to make them worth your while. In this release, we have included a number of general improvements to make the games run smoother and faster. Enjoy a new collection of educational shows and videos updated weekly. Let us know what you think - leave a review! It helps us get better for you. Having troubles? Send us an email at info@kidsacademy.mobi. I have a son who's 5 years old and he means the world to me. I always try to give him the best especially when it comes to his education. I want to prepare him and encourage him that learning is fun. And this app has done a perfect job at that. My son enjoys using the app. After hours of using it, he's become quite accustomed to how to navigate it himself. And he's learned quite a lot - a few letters especially the letters C, O, R and Y since that's his name. He needs some more practice with alphabet tracing but I'm sure with time, he'll be much more better at it with my guidance and the app's assistance. 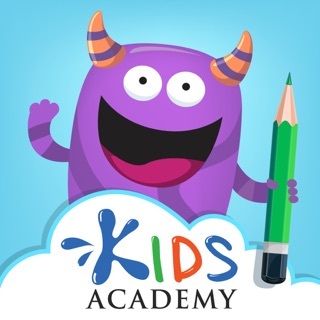 Thank you so much, KidsAcademy. I hope you make more apps like these! 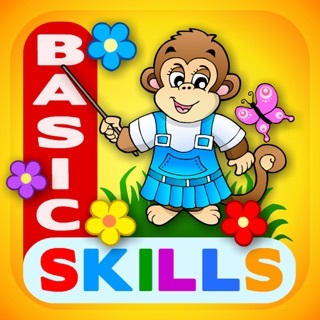 And to all the parents, give this app a try for your kids. You'll be surprise at the difference this can make. 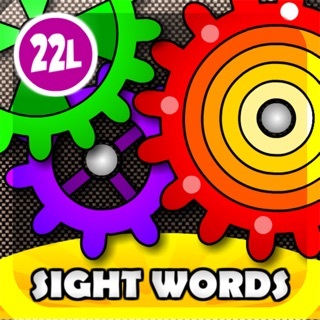 i would highly recommend this app for all the parents out there who want your kids to learn , and having fun at the same time. Graphic , tutorial and level are very well customized. My son are really enjoying the rewards system and it really made my son learn faster than conventional teaching. The most happy moment is my son spell out the words and its happiness when you saw them growing and learning new things. Thumbs up to the dev keep up the good work! 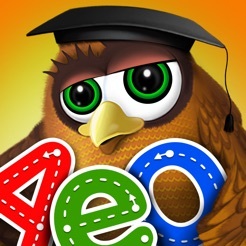 The education from this app is wonderful for children. Perfect app! Wow! This app seamlessly combines a helpful learning regimen with stunning visuals and friendly guides. Among the different categories, I especially liked the "library", where classic books are read to you, with a happy narrator and sweet background music for children. The "all-access pass", unlocking all the lessons, is available free to try for 7 days!